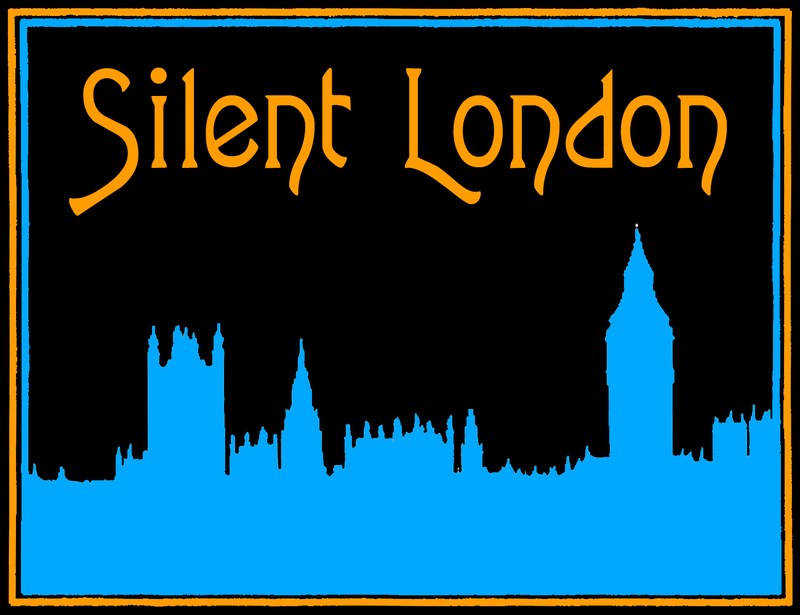 This is a guest post for Silent London by Alex Barrett. When Sight & Sound unveiled the results of their once-a-decade poll of The Greatest Films of All Time earlier this year, I was both relieved and disappointed to see Carl Th Dreyer’s 1928 masterpiece The Passion of Joan of Arc riding high at number nine: relieved that the film was there at all (it has been literally in and out of the top 10 every decade since the poll was first conducted in 1952), but disappointed that it wasn’t higher. Why? Because, quite simply, it is more deserving of the top spot than any other film. 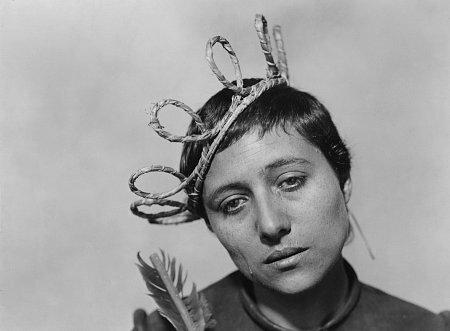 Rightly famous for its unbridled use of close-ups, The Passion of Joan of Arc is the nearest cinema has ever come to capturing and rendering the human soul on-screen. But lest you worry that that makes it little more than a relic of pious Christianity, the emphasis here is very much on human. As the opening titles state, the film is concerned with a “simple and human” Joan, one who should be seen not as a warrior, but as “a young woman who died for her country”. 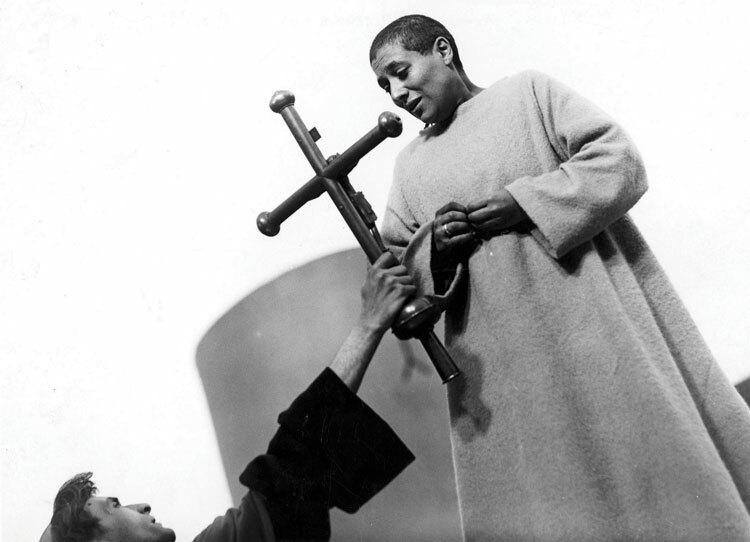 Dreyer’s choice of religious subjects has led to great misunderstanding of his oeuvre and, in no uncertain terms, his interest throughout his career remained grounded in a thorough examination of human (and often female) suffering. Here, the suffering woman is Joan of Arc, The Maid of Orléans, a young peasant girl who led an army into battle in the hope of driving the English out of 15th-century France. Believing herself to be working under the auspices of three different Saints, Joan was eventually captured, tried and burnt at the stake at the age of 19. It is her trial and execution – her Passion – that Dreyer retells, basing his film upon the transcripts of the actual trial. Avoiding the spectacle of many historically set films, Dreyer opted instead to keep his camera focused on the faces of Joan and her assailants. 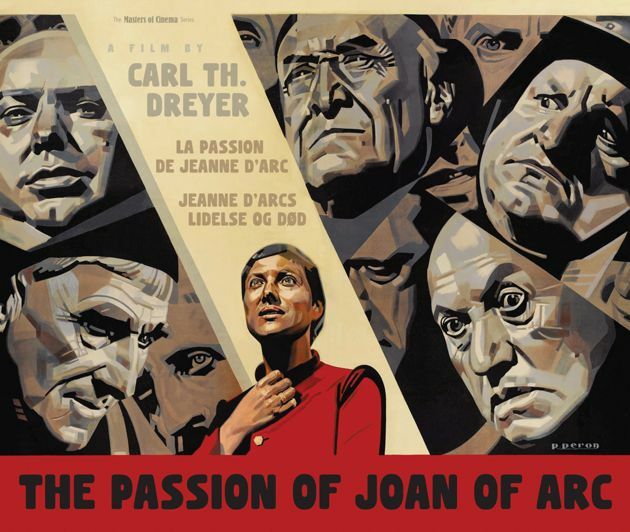 Condensing, as he does, the events of Joan’s lengthy trial and execution into a single day, Dreyer approaches a unity of time, place and action – and yet, for all his painstaking historical research, the film’s fractured use of cinematic grammar elevates the action beyond the physical world and into a metaphysical realm. The sparseness of the film’s sets eliminate depth, while the constant close-ups and broken eye-lines render the space unimportant (and, to an extent, unintelligible). Joan and her suffering are all that matter, all we must understand. The historical context and politics are secondary; first and foremost is a scared, tormented young girl. Dreyer may have denied that his film belonged to the avant-garde, but this is not conventional film-making: every aspect, from the architecture to the camera movements, from the rhythm to the compositions, conspires to contribute to Joan’s assault. Even now, after more than 80 years, Dreyer’s film is as fresh and as powerful as the year it was made: this is form and content synthesising at the highest level. And, while it would be a crime not to comment on the uniformly superb performances, to do so would be to undermine the purity of the film’s perfection. Falconetti does not play Joan. She is Joan. And Joan, for now and for evermore, is Falconetti. With this all said, then, it seems like something of a crime that the film has never been released on DVD in the UK (until now). When Masters of Cinema announced that it would be releasing this new restoration of the film on Blu-Ray and DVD, expectation and anticipation began to flutter. But there was also some concern about the fact that the new release would not feature Richard Einhorn’s beloved score, Voices of Light, found on the Criterion Collection’s Region 1 DVD. So, how do the two scores offered by Masters of Cinema compare? Thankfully, Mie Yanashita’s piano score turns out to be something of a marvel. Echoing the rich simplicity of the film itself, Yanashita focuses on the film’s tenderness, allowing moments such as the shedding of Joan’s first tear a new beauty. Listening to this music with the breathtaking 20fps restoration was like seeing the film again for the very first time (a feeling no doubt cultivated by the insertion of the original Danish intertitles and their new English translation). There is a startling splendour to the restoration, and while the 24fps version may feel more familiar, moments there slipped over take on new resonances here, while the slower pacing allows a fuller savouring of the images in all their glorious detail. As the film progresses and the tension mounts, Yanashita isn’t afraid to pick up the drama, yet still manages to avoid the occasional heavy-handedness that marred Utley and Gregory’s recent score. While it’s perhaps true that Yanashita’s score never reaches the dizzying heights of Einhorn’s, it’s a moving and graceful accompaniment nonetheless. Unfortunately, the same can’t be said for Loren Connors’ tedious and barbaric soundtrack to the 24fps version, which somehow manages to do the impossible and actually take the life out of the film. Perhaps it will appeal to some, but I found it insensitive and intrusive, and for me it detracted from the viewing experience far more than it added to it. I would certainly urge first-time viewers of the film to steer well clear. 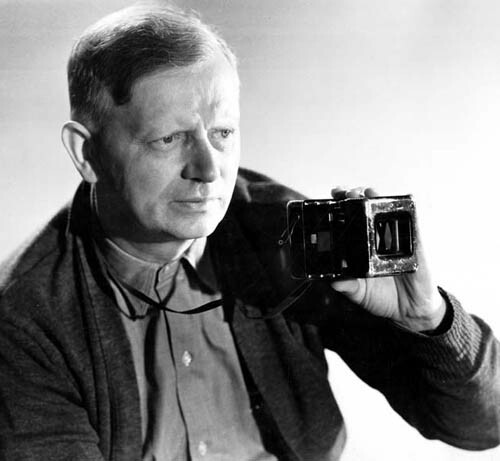 It should be noted, of course, that Dreyer expressed a preference for the film to be viewed silent, and Masters of Cinema has loyally made this the default option for playback, so in some respects the choice of soundtracks is irrelevant. However, being given the choice of two scores (or three if you count the silence) and two playback speeds makes this a very special package indeed. Completing the package is another, alternative version of the film: the complete ‘Lo Duca’ cut. When the original camera negative was thought lost to a lab fire, Dreyer reassembled the film using alternative takes … only for this new version to be lost to a second fire. However, in the 1950s the French film historian Joseph-Marie Lo Duca stumbled across a print of Dreyer’s second version. After recutting the film, Lo Duca put his version into circulation, despite Dreyer’s disapproval. Generally considered a bastardisation of Dreyer’s original vision, the Lo Duca version of the film has been relegated to the status of curiosity ever since the miraculous discovery of Dreyer’s first version in the closet of a Norwegian mental hospital in the 1980s. Yet, for those with a passion for Joan, it’s a fascinating alternative version – an imperfect version of a perfect film. The first thing that struck me about it was the fact that the actual experience of watching it is nowhere near as horrendous as one would expect, given the interference. Additions such as an opening voiceover detailing the historical background may go against the very fabric of Dreyer’s intentions, but his genius still shines through. What’s more, a comparison of the Lo Duca and original versions teaches us much about Dreyer’s film-making choices. Such a comparison is made easier by the excellent essay Two Passions – One Film? by the preeminent Dreyer scholar Casper Tybjerg, found in the accompanying 100-page booklet. 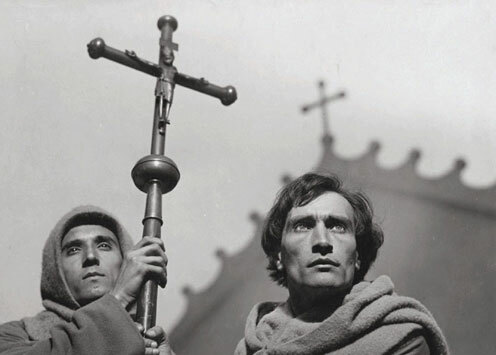 Alongside Tybjerg’s essay are pieces by Chris Marker, André Bazin, Antonin Artaud, Luis Buñuel, HD, and Dreyer himself. But the bulk of the booklet is formed by a chapter from Jean and Dale D Drum’s Dreyer biography My Only Great Passion, which, in detailing the film’s production, puts lie to the idea of Dreyer as a cruel despotic director who tortured Falconetti’s performance out of her (written with approval and assistance from Dreyer, My Only Great Passion remains the definitive Dreyer biography). Although the excellent booklet goes a long way towards making up for it, it’s a shame that no audio commentary was included in the package (especially given Tybjerg’s excellent commentary on the Criterion DVD). However, while Tybjerg’s commentary and Einhorn’s Voices of Light mean you shouldn’t throw away your Criterion disc just yet, it’s undeniable that the new restoration and the choice of versions take the Masters of Cinema release to the next level. This is an essential purchase in every conceivable way. Alex Barrett is an independent filmmaker and critic. His Dreyer-influenced debut feature, Life Just Is, is released this December, both in cinemas and on DVD. I watched The Passion of Joan of Arc several years ago for the first and only time, and – frankly – I hated every second of it. That was disappointing, as it’s so highly regarded. But it was the score, the terrible score. I’m not entirely sure what edition or score it was (though I suspect it was Loren Connors’). That score was bombastic, ham-fisted, and completely distracting. If ever there was a film with the visual power to carry the day, it would be this one. Instead, a poorly conceived score kinda ruined a classic of silent cinema for me. How could it have been the Loren Connors score if you saw it several years ago? This is a new release. The Loren Connors track was recorded about a decade ago. Masters of Cinema spent so much on the restoration that commissioning a new recording simply wasn’t an option – so they fell back on the only recording designed for 20fps playback (Mie Yanashita) and one of the 24fps alternatives (Loren Connors). It’s probably worth noting that the default soundtrack option on the new discs is complete silence, in line with Dreyer’s own recommendation. I’ve watched the 20fps version like that, and I agree with him. You are correct that the Loren Connors score was created years ago, but it has never before been released as a soundtrack for any version of the film. What a pity they didn’t take the chance to add the Adrian Utley score, as performed at the QEH last year with Charles Hazlewood conducting, as an optional extra. I can tell you it was staggering, powerful and hugely moving, with a resounding standing ovation at the end. It was by far the best soundtrack performance to a film I have heard. I understand Utley was approached, but there were logistical reasons why the score couldn’t be included – chiefly the fact that it hadn’t been recorded yet, which would have significantly increased an already substantial production budget.